Butternut squash, a staple cold weather food that helps us forget about summer and look forward to fall. 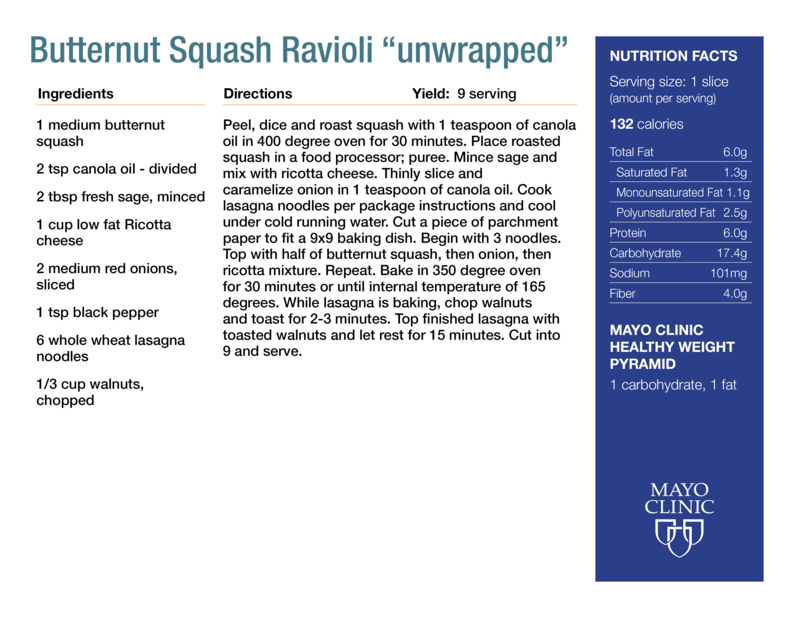 This recipe "unwraps" the naturally sweet, nutty squash into a savory heart-healthy comfort dish you can enjoy at home. With 9 servings, this recipe would make a great dish to pass at a holiday event, or a perfect meal prep option! Mankato and La Crosse are sharing a single instance of Surgicount, which also helped to save dollars and maintenance resources over the life of the system.